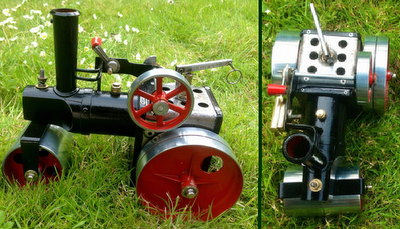 I have finally finished restoring the Mamod SR1 steam roller engine I was given by a friend who found it in the loft. I remembering first seeing this engine and seeing the potential. Everything was there: it just needed a lot of TLC. 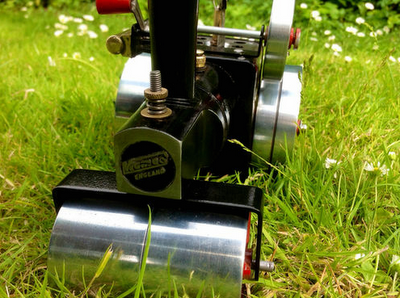 You will be able to tell from the pictures that I have changed the paint scheme of the engine. Some may disagree with this but it was a lot easier to paint the boiler black. 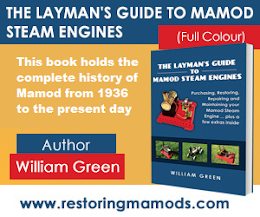 I wanted to paint it the same apple green Mamod engines traditionally are. However, I had difficulty disconnecting the chrome scuttle and black firebox from the boiler. Therefore, it would have been difficult painting the boiler a different colour to the black scuttle. Click on the link to see larger pictures of the Steam Roller before being restored. I think what makes this restoration look the best is the wheels which were made shiny through screwing them into a pillar drill. While letting the wheels spin, I used 400 memory foam, then 800 and then a cloth with brass polish. The black paintwork contrasts well against the Ferrari-like red of the wheels producing a nice colour scheme. If you have any questions about this restoration, be sure to comment below and I will get back to you ASAP (usually around 24 hours). With this engine being the first SR1 I have restored, I'm quite proud!